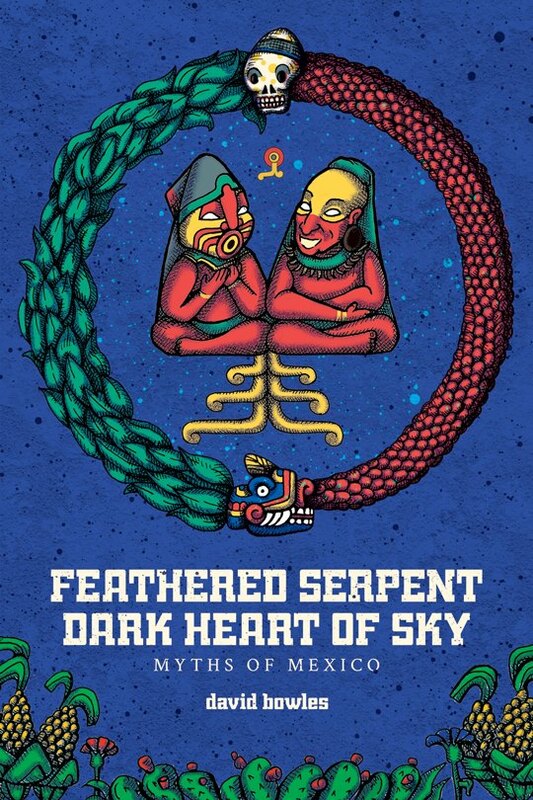 Cinco Puntos Press has revealed the final cover for my book Feathered Serpent, Dark Heart of Sky: Myths of Mexico, coming January 2018. Check out the great artwork by Chris de Maíz and Ramon Cardenas. The book consists of translations, adaptations and retellings of essential pre-Colombian myths, woven into a sort of mythological history of Mexico from creation to conquest. Arturo, in a way, yes. I tried to weave the different myths together in a way that makes a sort of patch-work quilt of an epic, if you catch my meaning. At the center of the narrative is the conflict between Quetzalcoatl (Feathered Serpent), god of order and creation, and his twin brother Tezcatlipoca (the “dark heart of sky” of the title), god of chaos and destruction. And thanks for the kind words, btw.